Amazon has already more than 20 million Echo devices as Voicebot revealed earlier this morning. That number is likely to climb higher as discounting heats up during the 2017 Holiday shopping season. 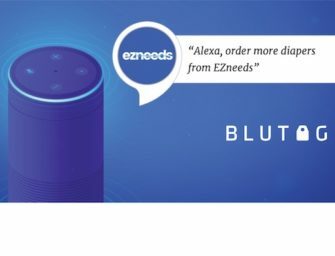 Kohl’s recently partnered with Amazon to provide a dedicated area for displaying the company’s smart speaker and smart home products and to process Amazon.com returns. 9to5 Toys has now discovered that Kohl’s will be providing substantial discounts on Amazon Echo Dots, selling them for just $29.99. That is a $20 discount off of the standard $49.99 price. Black Friday sales promotions are designed to drive foot traffic to lure shoppers into stores. Kohl’s may be betting that the Echo Dot will be a good draw at this price point. Amazon routinely discounts the Echo Dot by 20-30% online. The 40% Black Friday discount is designed to stay under that pricing and potentially be an additional impulse purchase for other shoppers in the Kohl’s electronics department. However, the presence of Amazon now within Kohl’s raises some questions. Will this be sold by Amazon in the Amazon section of the store or in the Kohl’s electronics department? Who captures the sale if it is sold in the Amazon department? Amazon or Kohl’s? Is Amazon subsidizing this promotion as part of the broader Kohl’s deal? Today, on Kohl’s website you can purchase a Google Home for $129, but Echo products are nowhere to be found. Voicebot reported earlier that Google is currently running a promotion for the Google Home Mini with Walmart. Consumers must purchase the Mini at the full $49 price, but they are given a $25 credit for shopping with Walmart through Google Express. A lot of the trade press is focused primarily on the high-end smart speakers such as Apple’s HomePod, Sonos One, JBL and Harman Kardon. However, it is these entry-level devices such as Amazon Echo Dot and Google Home Mini which will really drive smart speaker unit volume in the U.S. and abroad. The low price points of Dot and Mini have also changed consumer perceptions about smart speakers and enticed more than 40% of households to place them in multiple rooms. Strategy Analytics shared data with Voicebot that U.S. and UK households with smart speakers had an average of 1.9 and 1.7 devices each respectively. That was up from 1.6 and 1.4 respectively in 2016. Discounts like the Kohl’s Black Friday special will only help those figures move higher.